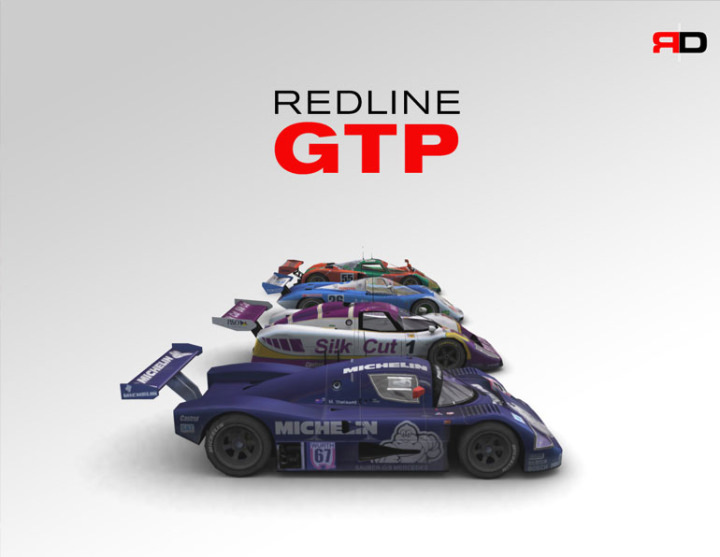 Hi everyone, I would like to introduce the new GTP Hotlap Series! The goal is to give old and new fans of this mod an opportunity to revisit and enjoy these cars, by having specific car(s) and track combinations to drive laps throughout different rounds. The idea is to also provide an stimulus to drive certain cars and discover new and fun tracks, either offline or online (server gracefully provided by Frank - follow the link here). Driving mode set to Simulation with damage level set to Realistic. Weather set to 80º (Fahrenheit, it's also 80 if you are in metric system due to a glitch) without wind. Each round will state if it's Clear or Cloudy. Auto-clutch is the only aid allowed for submissions, though you are welcome to practice with Ideal Racing Lines turned on. Gearbox shall be Sequential or H-Pattern. No Direct Selection. To submit a valid lap, you must post a video or screenshot showing the laptime you submit, before the end of the round. Please remember to mention which car was used (for my sake when compiling submissions). Now, it is ok to post mentioning your lap without having an image or video at the time - so you don't have to wait for something to upload or if you feel it is just a provisional time. As long as you revisit your post and include the visual proof before the round closes, you will be ok. Though some of us may be running laps on Frank Mueller's server, we must still keep track of our own laps as the server won't keep a master list. I recommend simply saving the replay and getting a photo from there later. That is about it. The point is to have fun driving cars we love in tracks we feel nostalgic, and hopefully discovering new and fun combinations. If you have suggestions, please send me a message. It is fine to have fun commentary in the topic such as talking about the track, car, or sharing setups, but things can get grossly sidetracked and in turn, make it messy or difficult to keep track of the submissions. Have fun! Edited by Gui, Jul 30 2018 - 04:18 PM. Edited by Gui, Jun 26 2018 - 03:57 PM. Edited by tikfas, Jun 27 2018 - 09:10 AM. That picture is ungodly small with a huge blank area, haha, but I know you got that time. And I'm glad to see you here! I can't reach your lap times. Mazda and Sauber are following . . . . Tried it last night, but I can't get it under one minute. I have problems with the hamstring of my right leg so driving is a difficult and even painfull. So will try again as my hamstring problems are solved. Edited by Gui, Jul 21 2018 - 08:52 AM. So round 1 ends with just three of us for now but I will keep this running initially with faster tracks so we all get our groove back! Edited by Gui, Aug 23 2018 - 07:39 PM. I tried setting your server last week but the track wasn't available. Do you happen to have it now, Frank? Edited by tikfas, Aug 04 2018 - 09:40 AM. Thanks, Frank! Let's go for Clear. Back to N2K3-"Hey, anyone need a racer?"